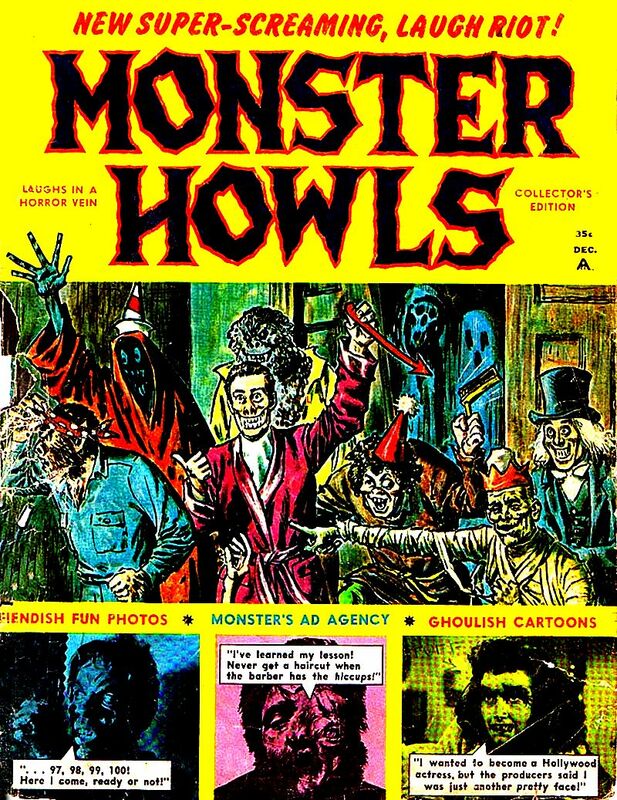 From "The Man Who Laughs". 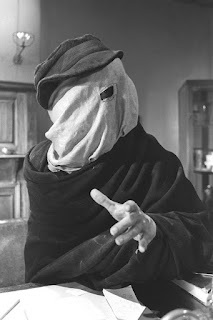 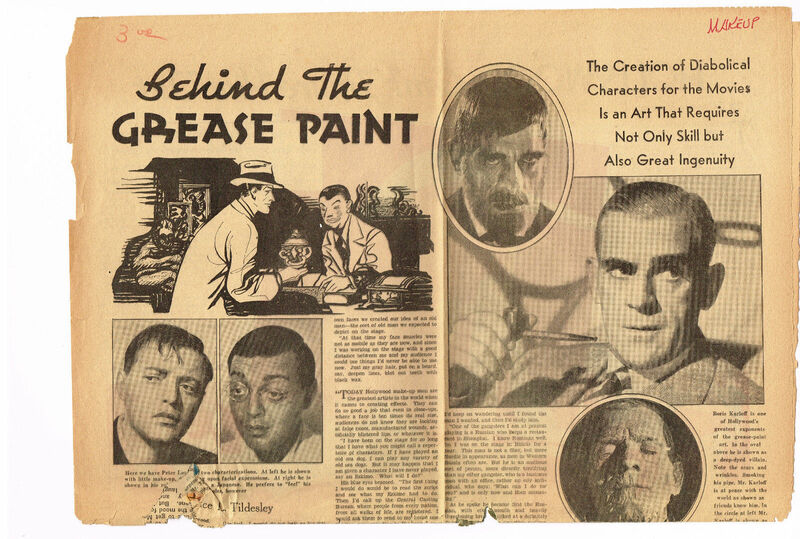 Here's a great old article featuring Peter Lorre and Boris Karloff on the make-up process. I think the Wolf Man is the best looking werewolf on film and he never looked better than how he appeared in "Frankenstein Meets the Wolf Man". 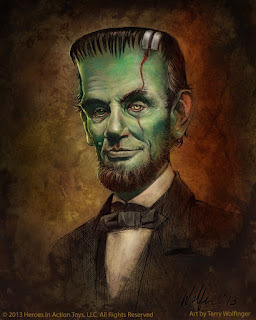 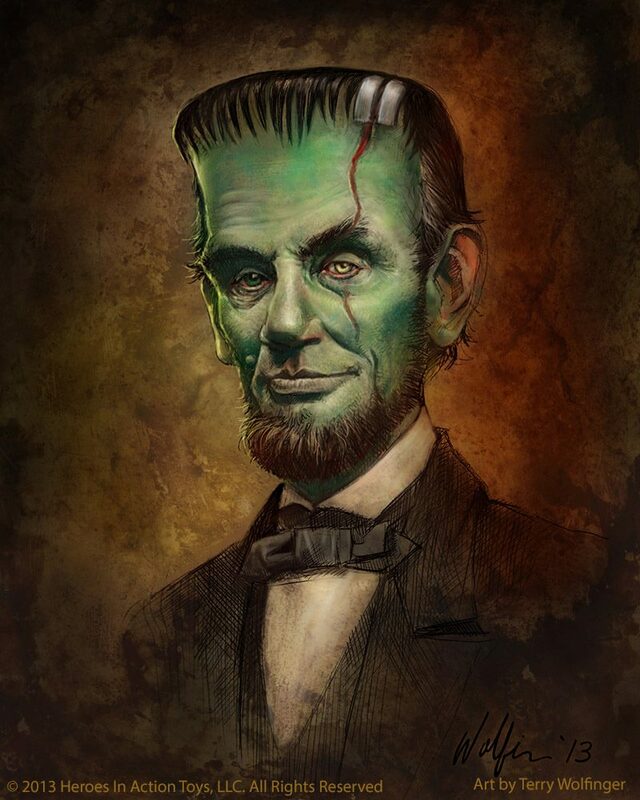 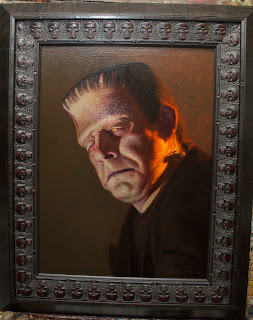 Monster Art: "The Ghost of Frankenstein"
Daniel Horne's beautiful portrait of Lon Chaney, Jr. as the Monster from "The Ghost of Frankenstein". 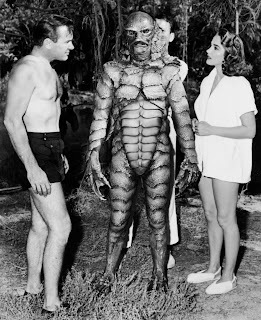 Is it Ricou Browning or Ben Chapman behind the gills? 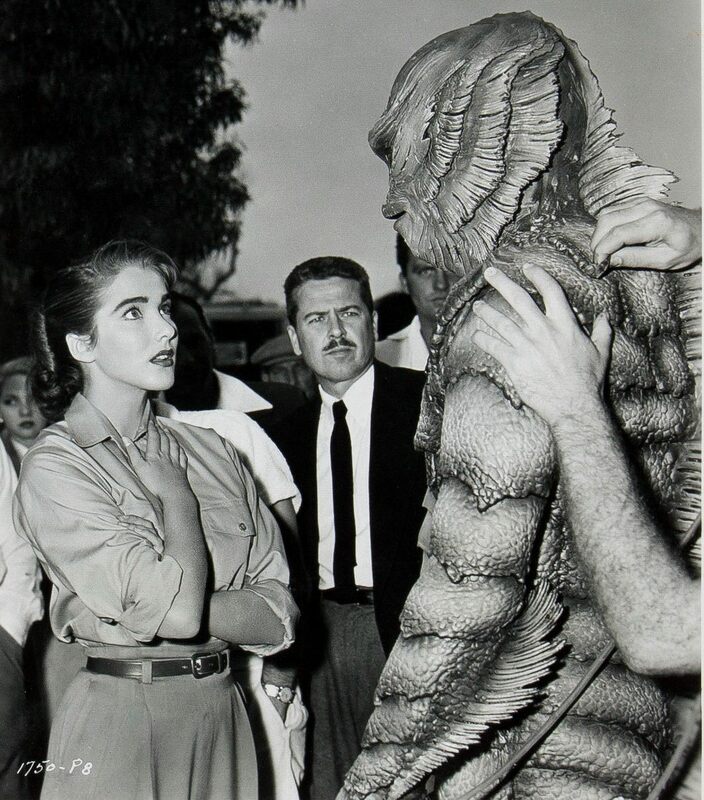 Judging from his height compared to Julie Adams, I'd say Ricou. Boy do I love naps and from the looks of it, Dr. Mannering insists that Larry takes one himself! 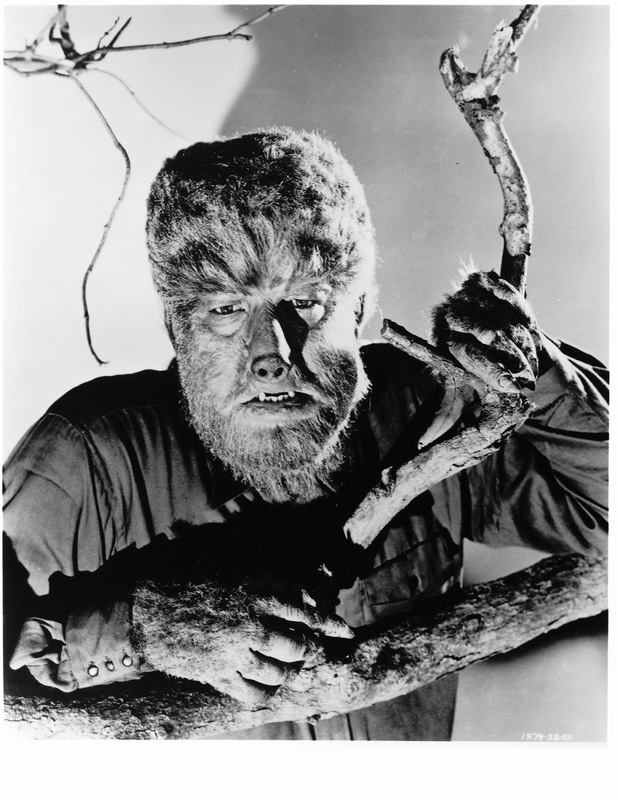 The Wolf Man prowls the woods in "Frankenstein Meets the Wolf Man". 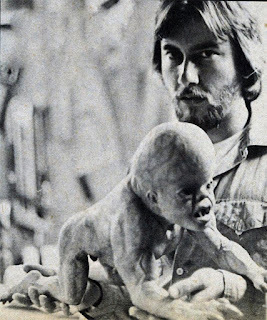 Here's Rick Baker and his creation for the film "It's Alive!" 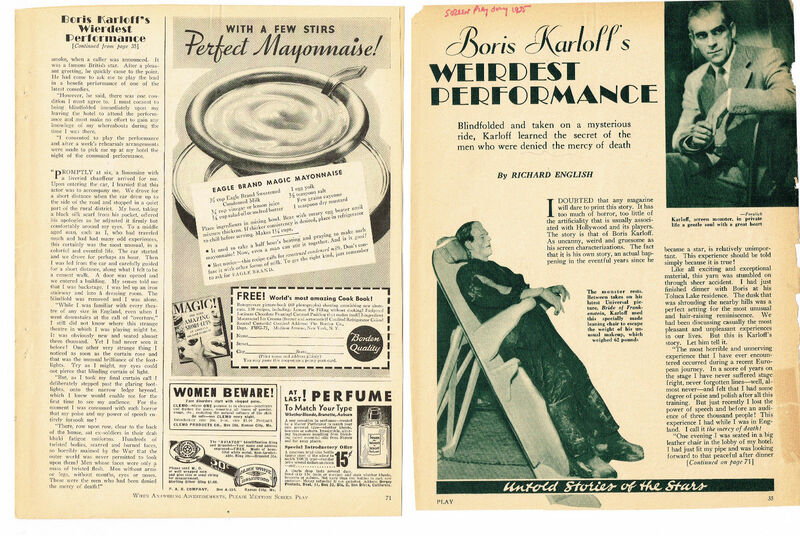 Here's an old article with a very interesting story told by Boris himself! Maleva, the Old Gypsy Woman! 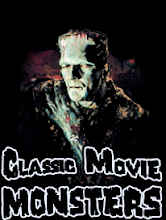 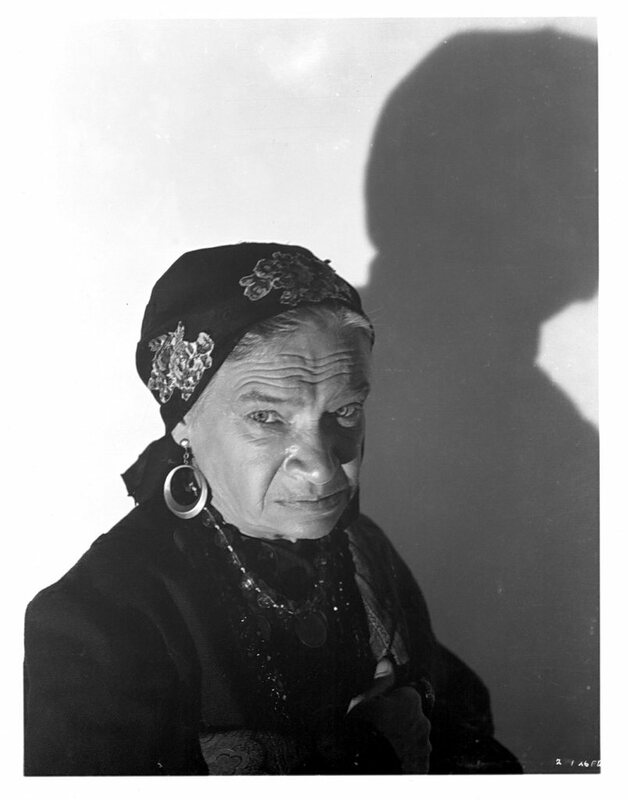 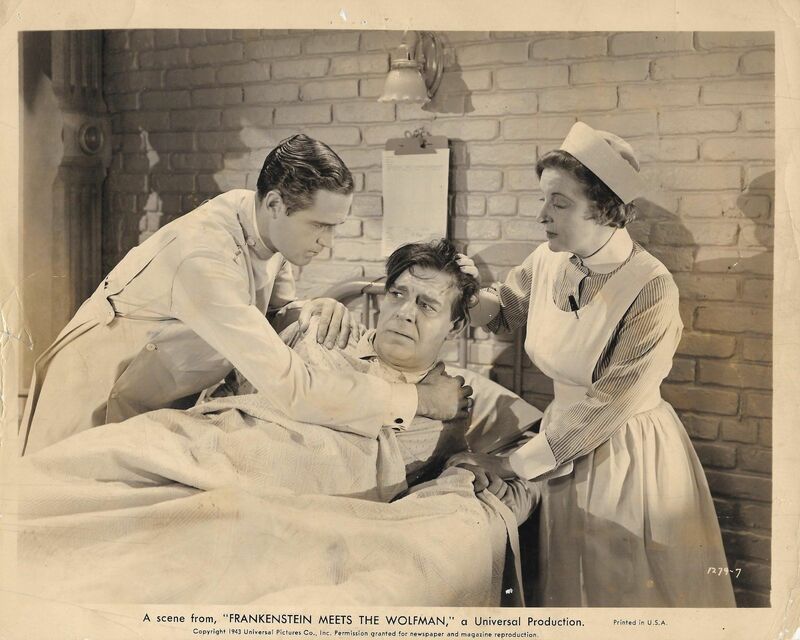 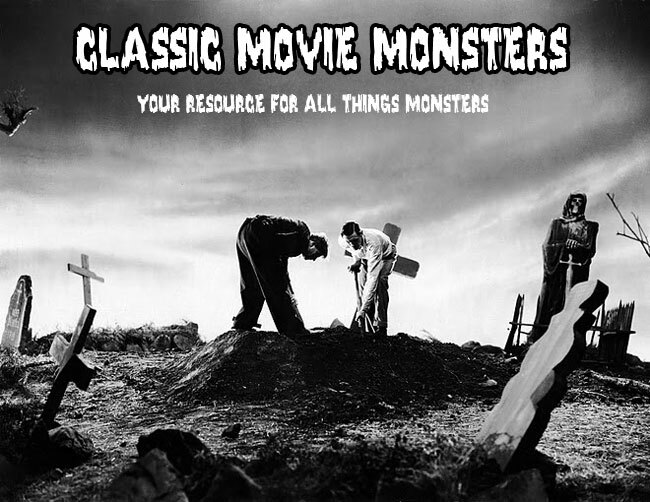 Maleva was a prominent character featured in "The Wolf Man" and "Frankenstein Meets the Wolf Man". 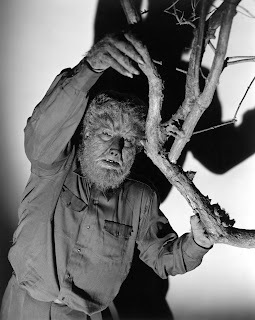 I believe this photo is from the production of "Frankenstein Meets the Wolf Man". By the great Terry Wolfinger! 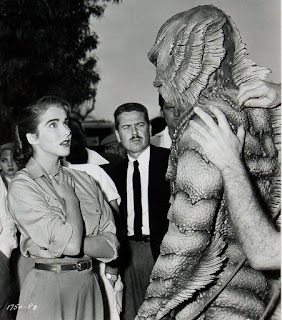 Julie Adams gazes upon the Gill Man on the set of "The Creature From the Black Lagoon". 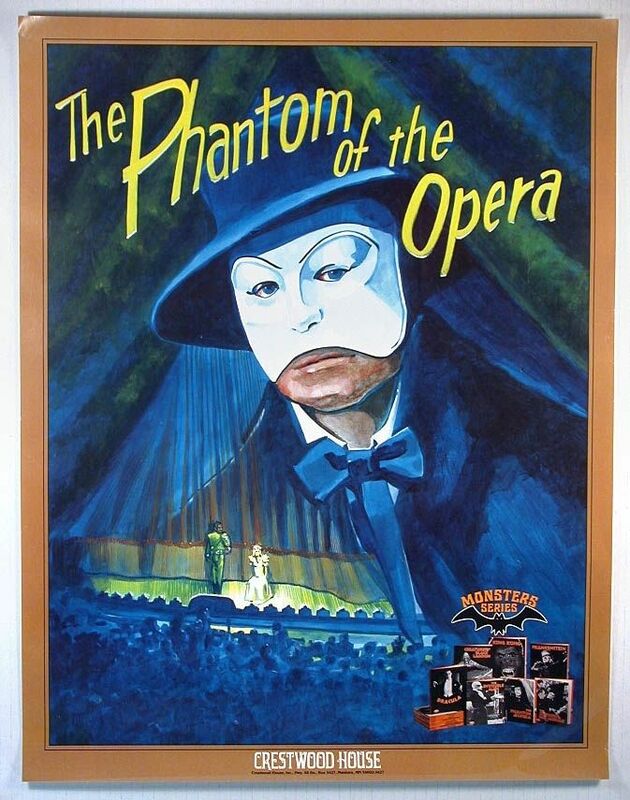 Here's a great poster featuring the Phantom of the Opera promoting the Crestwood House line of Monster books that kids could always find at their local library in the 1980s and 1990s. 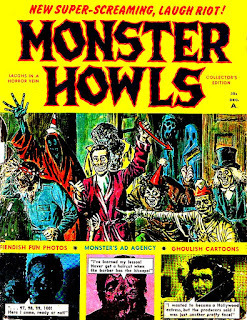 A great cover for Monster Howls!